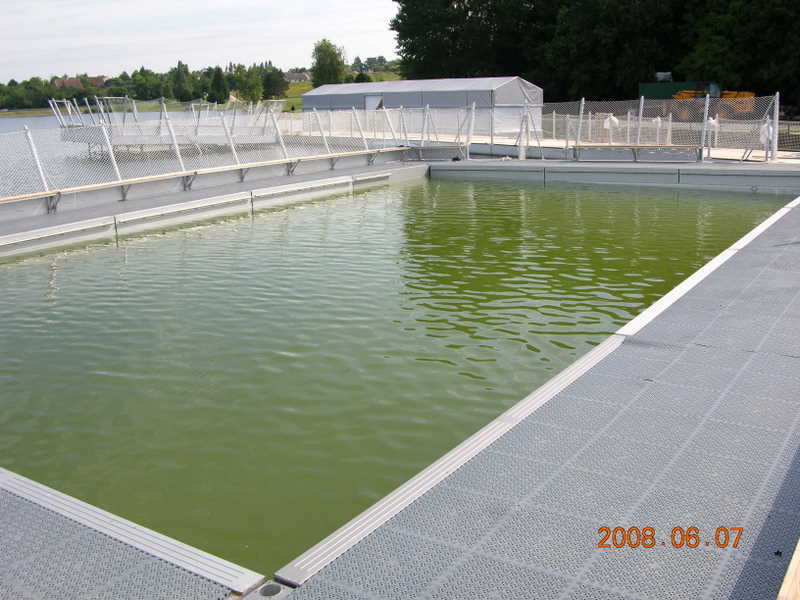 A floating swimming baths is a swimming pool immersed in a body of water so that its water is used. 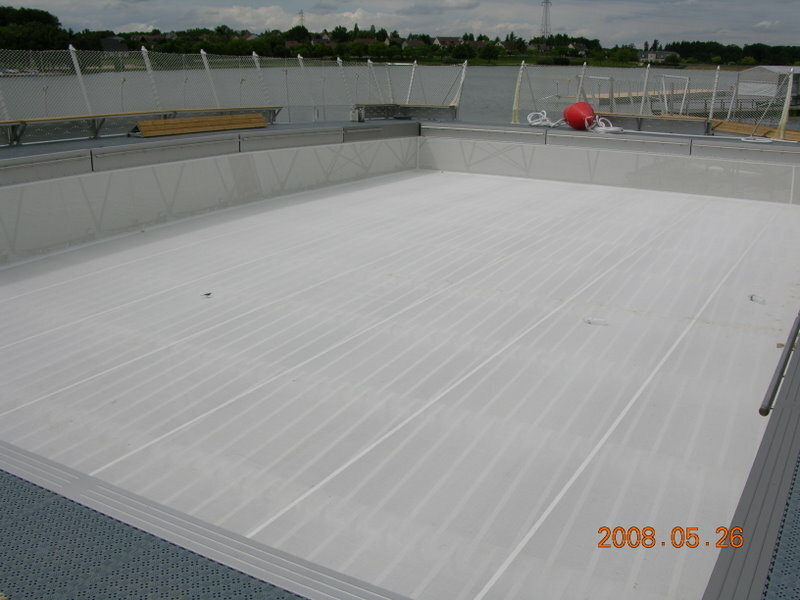 This pool consists of a “bearing construction” onto which flexible or rigid screens are stretched which will form the walls and the floor of the pool. The trick is that the part underwater is weighted. This means that the pool can also surface, which makes it easier to clean. 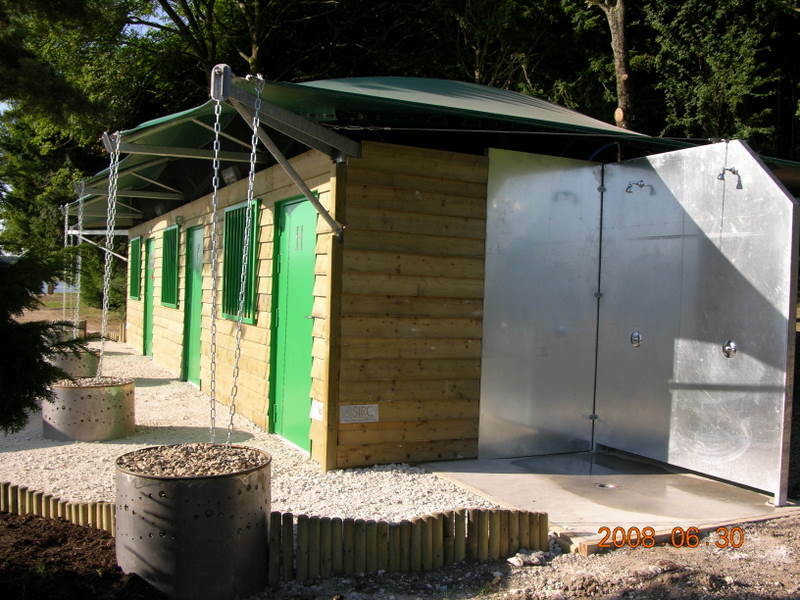 If you would like to find out more, download the documentation or visit the picture gallery. You can also download the documents for the pontoons, the monitoring or drink stand.